Isn't that what Audi Sport is for? It wasn’t that long ago that the Volkswagen R division wasn’t really much. That is, until, former Ford motorsports chief Jost Capito was recruited to handle things. 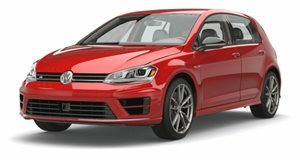 The Golf R is his doing, and he wanted to do the 400-hp Golf R400, but that was axed following Dieselgate. Fortunately, Capito has even bigger plans. Car and Driver has learned that Capito is now setting his sights on Mercedes-AMG. That sounds great in thought, but doesn’t the VW Group already have a performance brand aimed at AMG? Yes, it’s called Audi Sport. However, Capito is still planning R versions of the Tiguan, Touareg and maybe even the Arteon. He even has another more extreme Golf R in mind. There are many possibilities here, and Capito apparently has his pick of the litter, so to speak. He’s also certainly the right guy for the job. Prior to joining Ford motorsports, he worked for Porsche, the Sauber Formula 1 team, and was head of McLaren Racing. In between all of that, he did a stint as VW Motorsport chief. Fortunately for Capito, his VW R division chief successor, Ulrich Riestenpatt Gt. Richter, made a profit, thus making things easier for Capito because the money is there and business model appears to be working. But taking on a mammoth like Mercedes-AMG isn’t exactly something one just does. Honestly, we don’t see VW R producing something like, say, an AMG GT fighter. 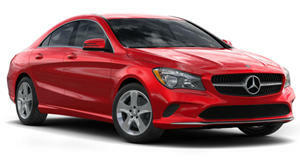 But what we do see potentially happening is a CLA45 AMG competitor. Like the Golf, it’s also built on a front-wheel-drive platform, and it’s already sold overseas as a hot hatch, though it goes by the A-Class moniker. No exact timetable has been made for future VW R models, but it’ll definitely be interesting to see what comes out.